One of our favorite events of the winter season is the Big Brothers & Big Sisters of Massachusetts Bay's "Big Night." This is one of the organizations major annual fundraisers and we are very proud to have been a part of the excitement again in 2019! The organization rolled out a brand-new logo and look in the months leading up to the event, and we were excited to partners with them and use that as inspiration for this year's event theme. Their new tagline "Defenders of Potential" translated perfectly into a superheroes-and-villains theme but we preferred a sophisticated and cool twist to the classic. 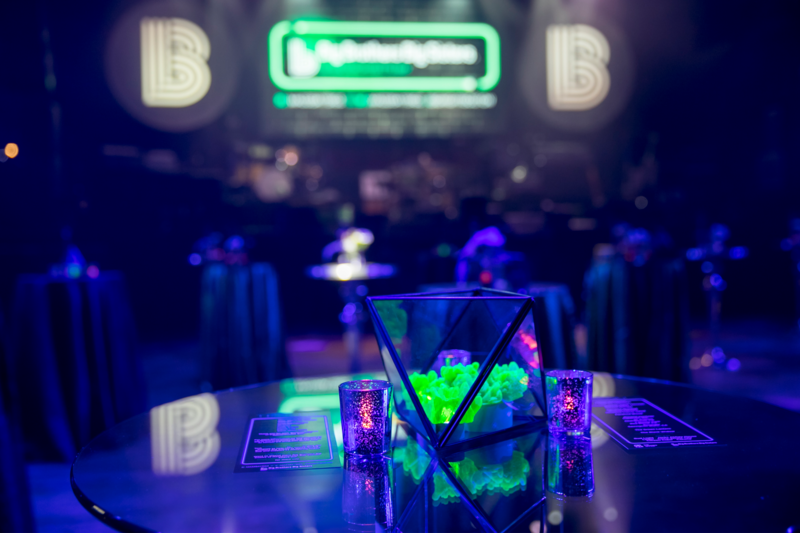 We transformed this year's venue, the House of Blues, into a modern "Big City" and let the guests dress up as their favorite heroes to be the star of the show. Our urban cityscape put the colors of the new brand front and center, giving the space a futuristic feel. 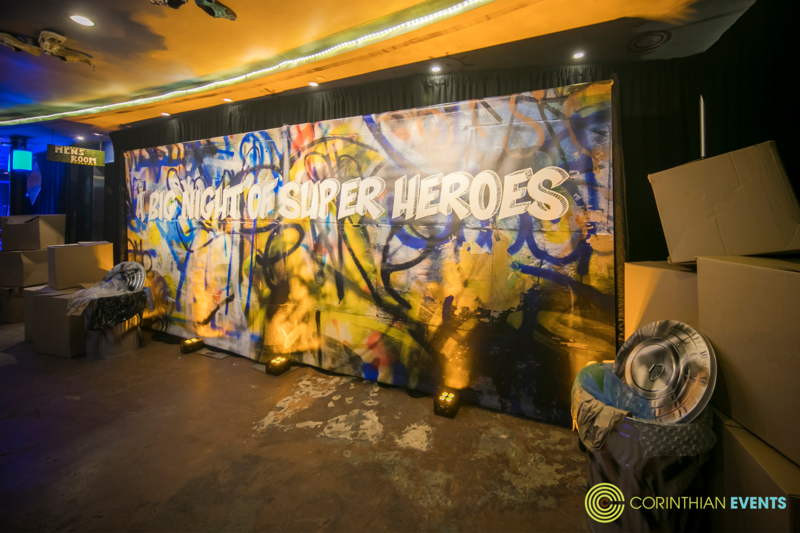 Guests entered the space through a "city back alley" where a custom graffiti wall paid homage to a classic comic book feel through coloring and fonts. 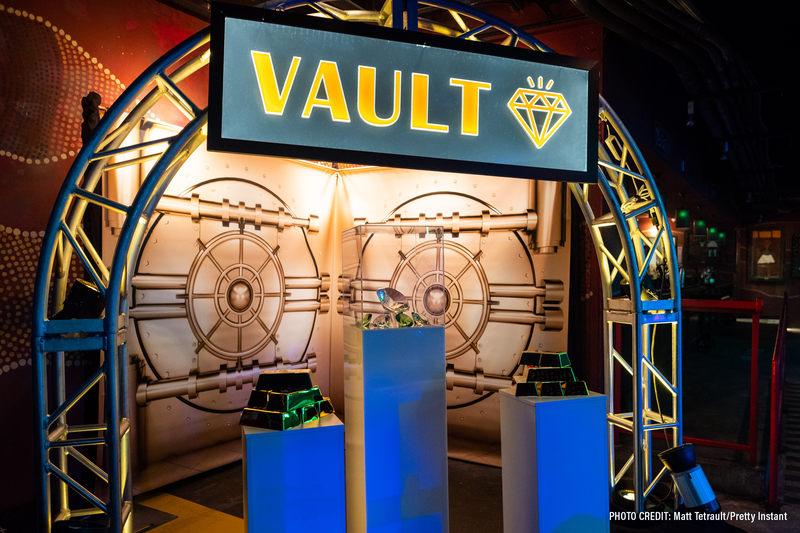 We love to have interactive photo opportunities and this year's "Vault" photo booth offered guests a chance to have some fun and pose for photos as if they were villains stealing gold bars and giant diamonds. The food stations in the room were themed after classic city cornerstones. 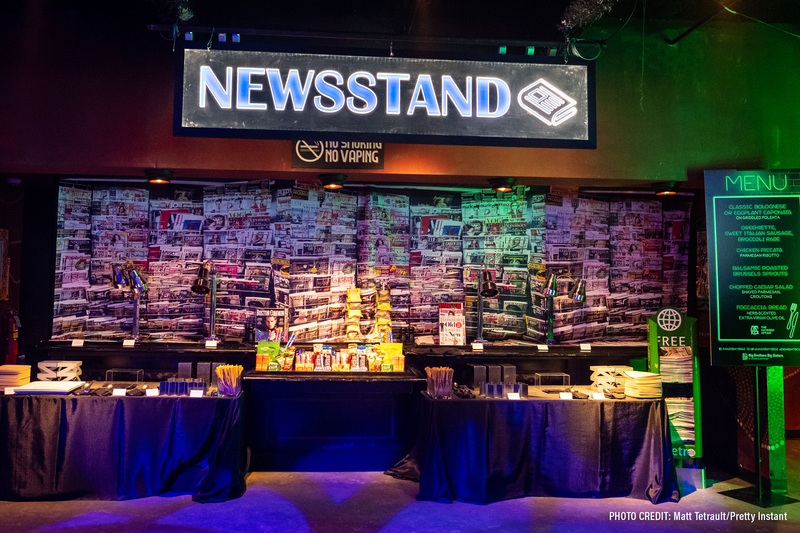 There was a news stand with all the magazines and snacks you could need, and we even incorporated a nod to our own home city with a "T" themed subway food station! Additional food stations upstairs were framed like a taxi stand and a 50's-style diner, a nod to traditional comic book settings. Lighting work by Port Lighting Systems filled the room and with color and helped us transform the space. The guests enjoyed lively programming and impressive musical acts throughout the evening. The dance floor was packed all night, a true sign of a successful fundraiser! 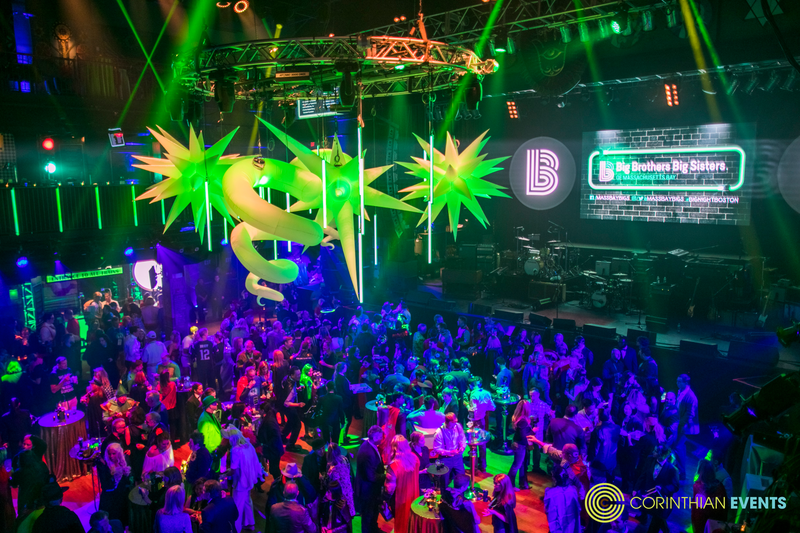 We were happy to be a part of Big Brothers & Big Sisters' most successful Big Night yet, with a creative and innovative design that was not only fun but intentional and brand-related. Who says that business slows down after the holidays? 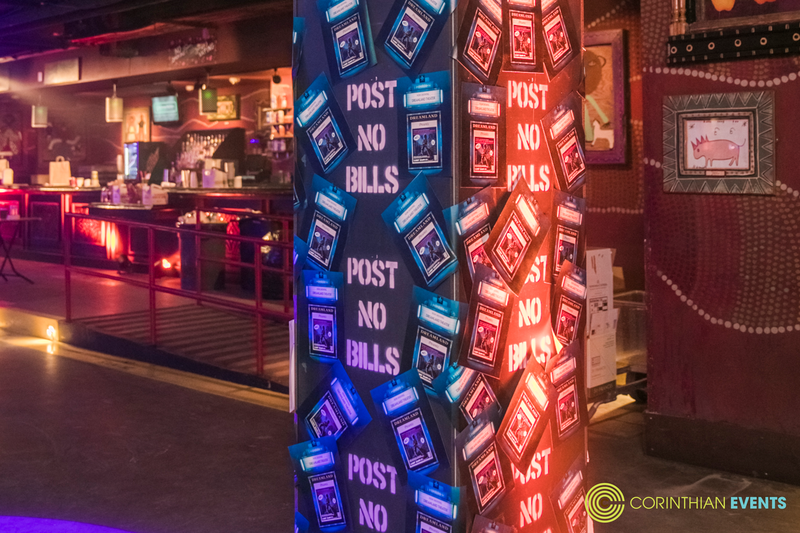 At Corinthian Events, we've hit the ground running in 2019! A little over a month into the new year, we Corinthians have been hard at work, heating up a frigid month of January with fun, excitement and a variety of different events under our belt! 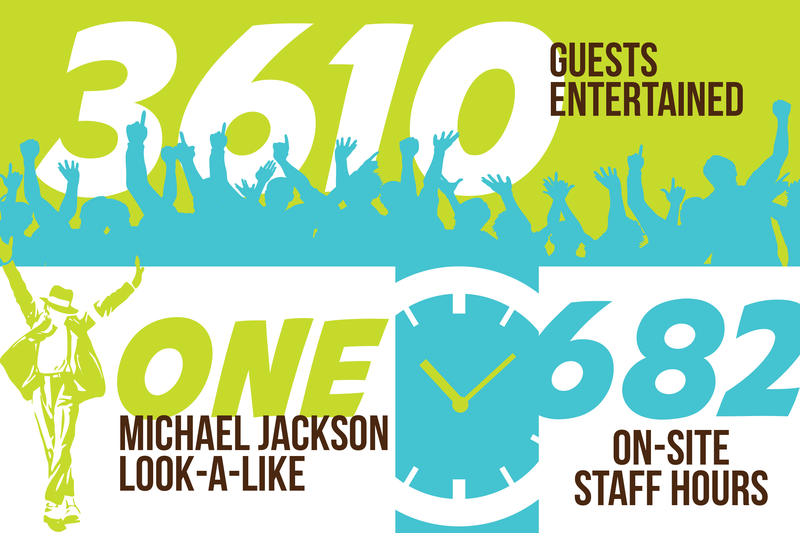 We've entertained over 3,600 guests with 35 entertainment acts of all kinds, including a pair of major headliners! …Oh, and one very talented Michael Jackson look-alike. We've already hit the road for over 15,427 miles, traveling to any lengths to satisfy our clients, not to mention over 682 hours our staff have been on site setting up table-scapes, calling shows, coordinating with vendors, and fine-tuning the smallest details. We're proud to say with 11 months to go in 2019, we've already accomplished so much, entertained so many, and gained such invaluable knowledge we will take with us through the rest of the year. 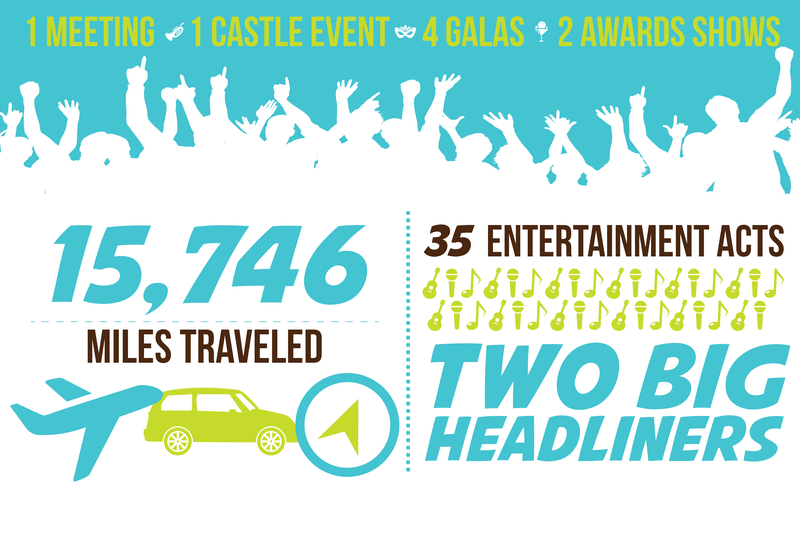 If you're resolution this year was to throw your best event yet, we're ready to help! Whoopin' Up Some Fun on April Fools! Spring Is Back - Happy Opening Day!